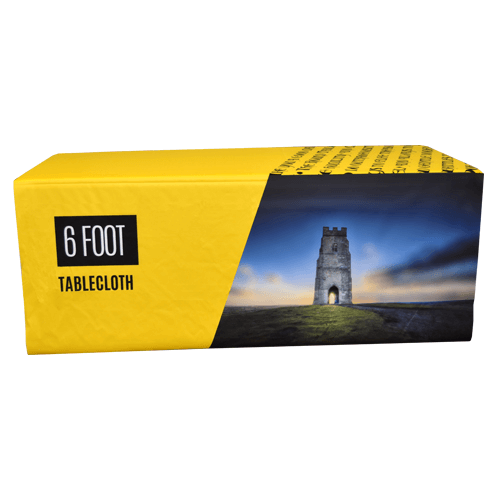 Our 6ft trestle table cloth instantly transform any table area. 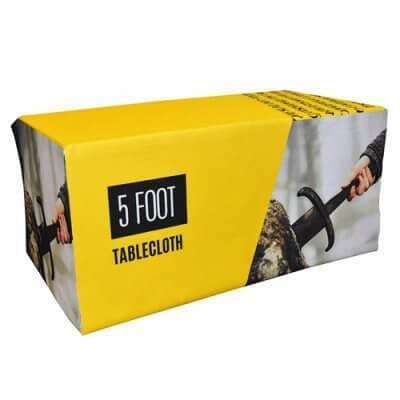 Designed to fit snuggly over a standard 6ft trestle table, our fitted personalised 6ft table cloths mean you no longer need to worry about making your tablecloth hang nicely, dealing with creases or making the drop long enough to hide things under your table. We can print every inch so your cloth is fully branded making it an eye catching addition to any exhibition kit. 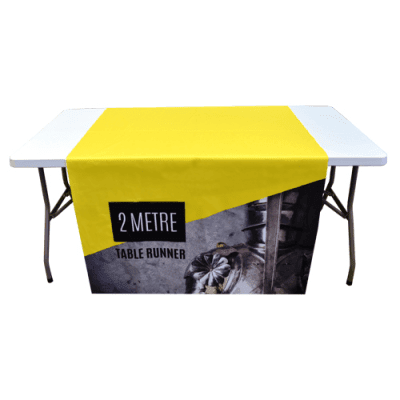 The fitted tablecloths are designed to reach to the floor at the front and sides of a standard 6ft trestle table with a 30cm overhang at the back to allow for access to storage or for you to sit behind. They’re printed on durable 210gsm polyester ‘display’ fabric. 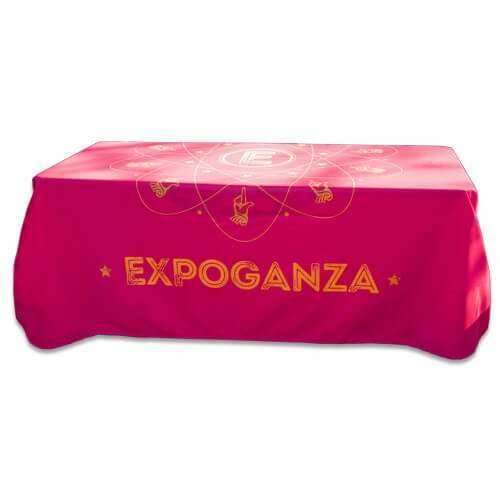 The flowing tablecloths simply throw over the table to give full coverage at the front and partial coverage at the sides and back.